We want your visit to The Gordon Center to be a well-rounded arts experience. That’s why in addition to entertaining you in our beautiful theater, we also provide rotating exhibits of regional artists in our adjoining Peggy and Harvey Meyerhoff Art Gallery. We want your visit to The Gordon Center to be a well-rounded arts experience. That’s why in addition to entertaining you in our beautiful theater, we also provide rotating exhibits of regional artists in our adjoining Meyerhoff Gallery. The gallery is open whenever the Gordon Center is open for shows. For arranging a special group tour contact Marilyn Zvili. Gallery open prior to all Gordon Center performances and also by appointment by calling 410.559.3609. Opening reception is Thursday, May 9, 2019 from 5:30pm-7:30pm and open to the public. Sponsored by the Chesapeake Shakespeare Company and the Gordon Center for Performing Arts. Exhibit also open by appointment with five days notice. Contact Marilyn Zvili at 410.559.3510 or mzvili@jcc.org. As an amateur photographer, Otto Frank has a single theme: the life and times of his daughters Anne and Margot, documented from birth with a parent’s gaze of adoration and delight. This exhibit consists of 71 reproduced photographs, many of which are rarely shown to the public and some of which have only recently been discovered. Anne Frank: A Private Photo Album was developed by the Anne Frank House and is sponsored in North America by the Anne Frank Center for Mutual Respect USA. The Gordon Center Art Gallery accepts submissions for each season on an ongoing basis. 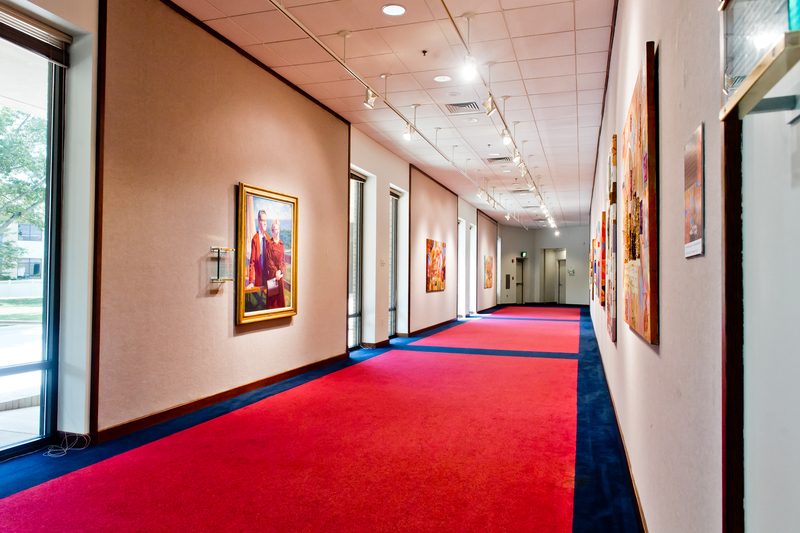 The Gordon Center gallery is located in the Gordon Center for Performing Arts, a 550-seat performing arts center that features professional talent in music, dance, film, comedy, theater and more. The gallery provides a creative space for Maryland artists to showcase and sell their works. Proposals will be juried by the Gordon Center's art gallery committee. Opportunities are available for two month exhibitions. Seeking works on paper, photographs, paintings and textiles. Please, no 3-D accepted at this time. To submit, please send the following via email to squreshi@jcc.org: 4-10 images, along with resume, biography of the artist and details for the pieces that the artist is submitting (Title, Year, Dimensions, Medium, Price). Selected artists will be responsible for delivery, installation and de-installation of the artists' work. Submissions are reviewed year-round for future exhibitions.